Decorate your family room in style with the seaside Aqua Coral Pattern Rug - 8 Ft. Round. 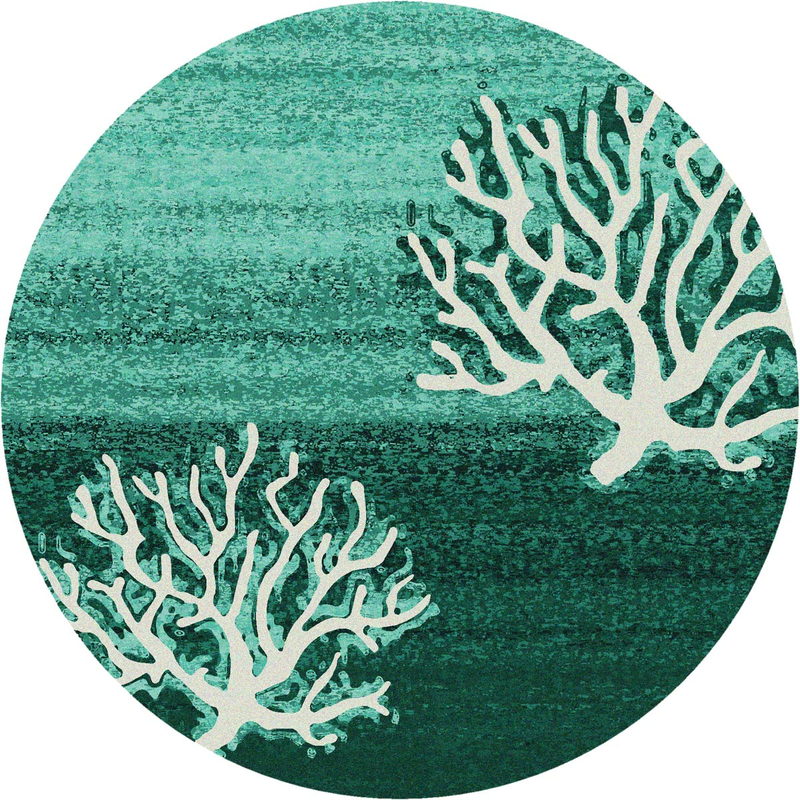 This nautical area rug is embellished with white coral on an ombre aqua, gray and green background.